“You are cured!” These words are a dream come true to any cancer patient. Scene promoter, DJ and frontman of electro-industrial act Rein[Forced], Jim Semonik, returns to give the vile disease of cancer another pummeling with a ton of his friends, comrades, heroes and allies in Electronic Saviors 3:Remission. Jim, creator of the series, recently celebrated 5 years cancer free and is eager to share his gift with the world. He was diagnosed in 2008 with stage 2B colorectal cancer and has since made Electronic Saviors his dream project along with close friend Chase Dudley (boxed warning). 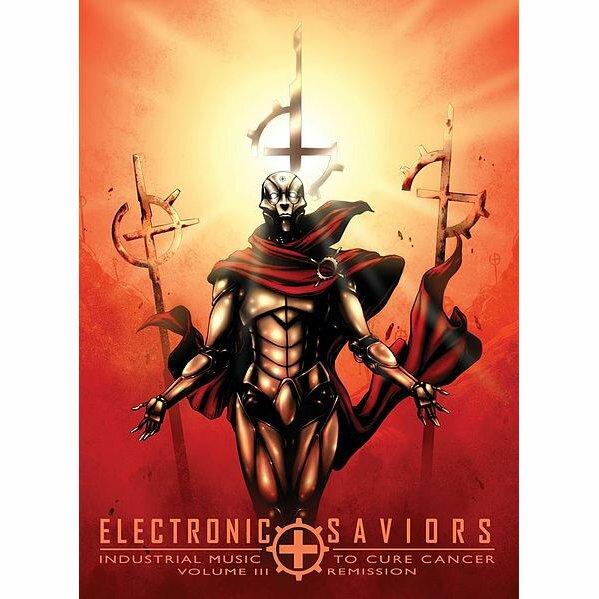 The Electronic Saviors series has been one of the most successful compilation series in industrial scene history having already raised over 30K for charity. Semonik once again returns with an armada of talent to shake dance floors and crush eardrums. Brand new and exclusive tracks from Combichrist, 16 Volt, Hate Dept, Stromkern, Rein[Forced], Panic Lift, Ego Likeness, Left Spine Down, Aesthetic Perfection and many, many more make Electronic Saviors 3 an essential purchase. Limited to 1000 copies, this volume is expected to sell out quickly and become a collector’s item. 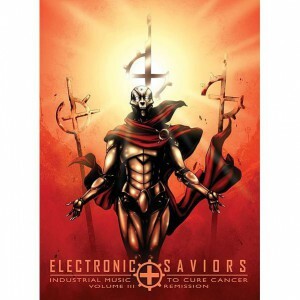 The Electronic Saviors series continues to grow with this 3rd volume. Jim once again dedicates this volume to anyone who has been a victim of cancer in any way, shape or form.